A Destination Proposal: Where Would You Pop the Question? Whether you made resolutions or skipped them altogether, the one thing a lot of people want to do is Travel more. 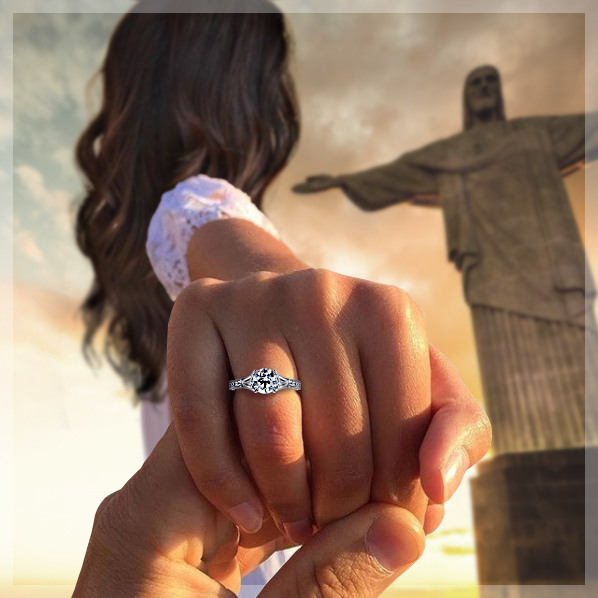 And if you’ve found the love of your life, you can make two dreams come true in 2018 - propose during a dream vacation! 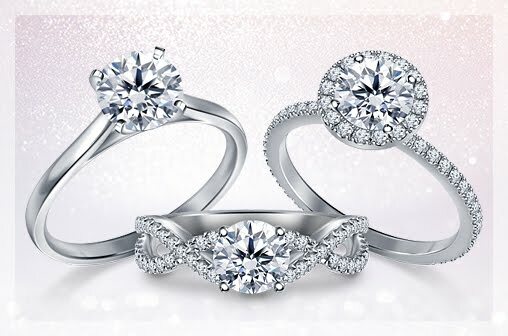 So, where would you propose? 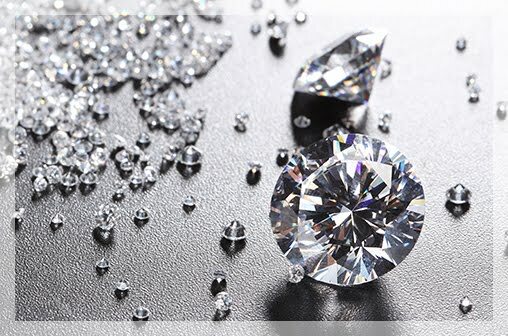 We asked the team here at B2C Jewels and the results were a mix of popular destinations as well as some interesting ones. Here are the results. 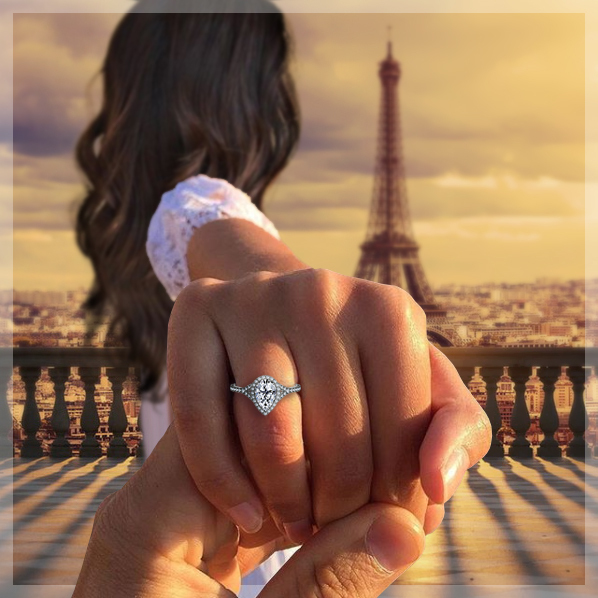 The French capital continues to be popular as the destination people would like to propose in (or be proposed to) It really doesn't surprise us. With all the food, culture, beauty and love to experience in this lovely city, we think it would be a wonderful vacation and a great backdrop for a proposal. We know it's a country but we couldn't pick just one city! There are too many spots to choose from! 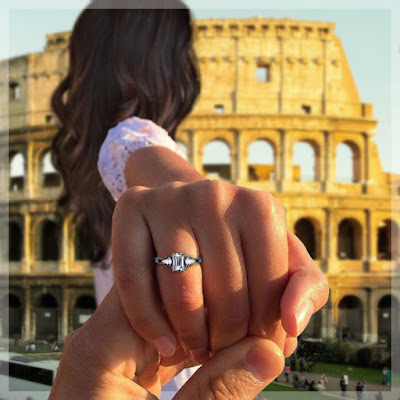 Whether it is the magnificent Colosseum or the magical Amalfi Coast, the country has a lot to offer for travelers, including gorgeous places to propose. This was a surprising entry on our list, but the more we think about it, the more we think Cairo would be an adventurous place to propose. 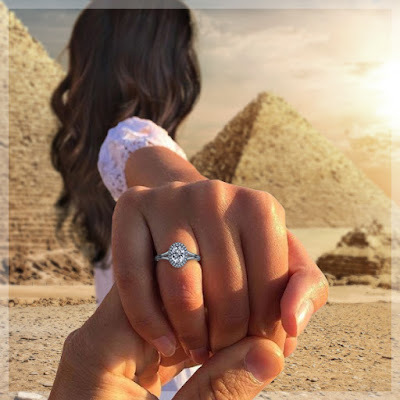 You could have the Nile or the pyramids of Giza as the backdrop to your proposal! While the 2016 Summer Olympics turned the world's attention to the beautiful Brazilian city, we have had an eye on this exciting city for a while now. We think it is a lovely city to travel to for its beautiful beaches, parades and samba dancers and of course the food! 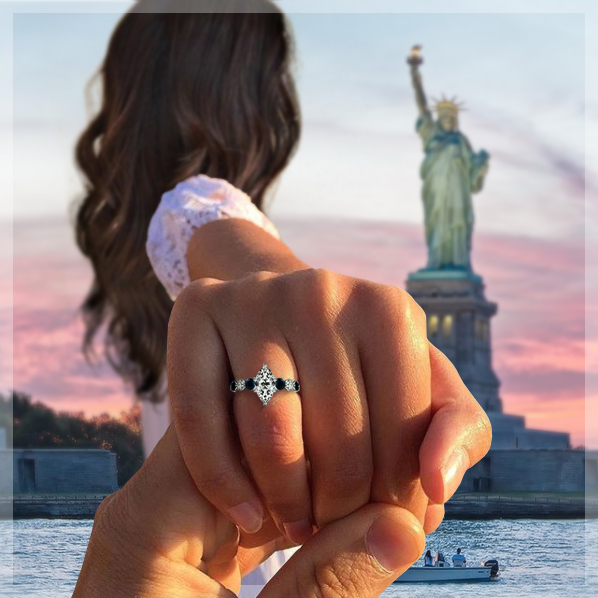 An internationally recognized symbol of love, we think the Taj Mahal would be a serene place to propose to (an of course travel to). 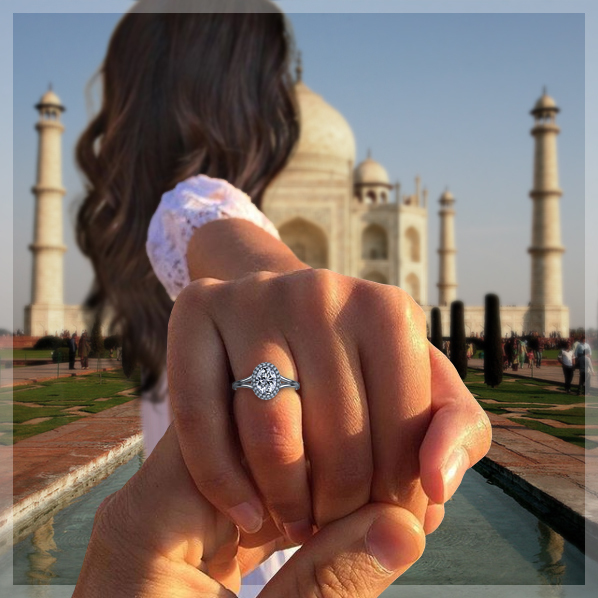 You could do the what is known as the "golden triangle" trip - Delhi, Agra and Jaipur and stop by the Taj Mahal for the proposal of a lifetime! 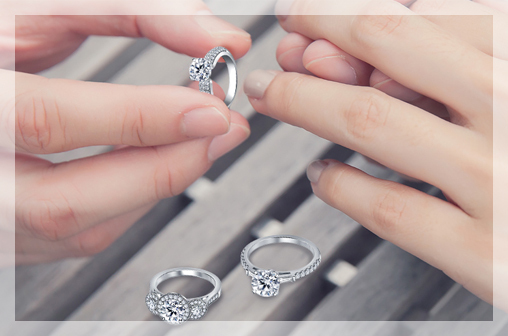 You don't need to go very far to pop the question. 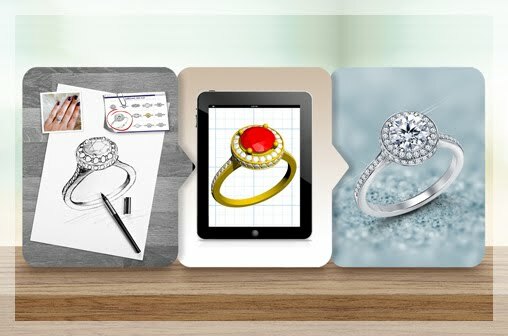 Our most surprising answer to the destination proposal question was—home! If you found love in this city we call home, there are plenty of spots to declare your love in the city. 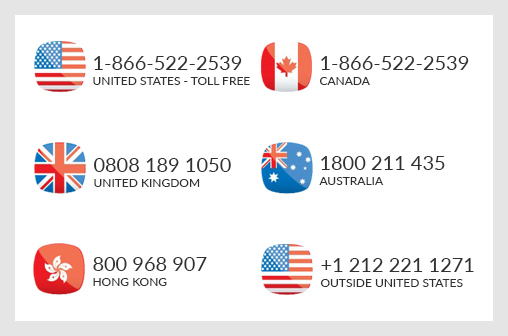 We'll be exploring all these cities (and country) in detail in January so be sure to check our blog.